Wool Dot Gather, designed by Osamu Mita and manufactured at his family’s textile company, Mitasho, is made of wool and rayon. The textile has a very rich textural surface created by a combination of patterning in the weaving process, as well as shrinking in the finishing. 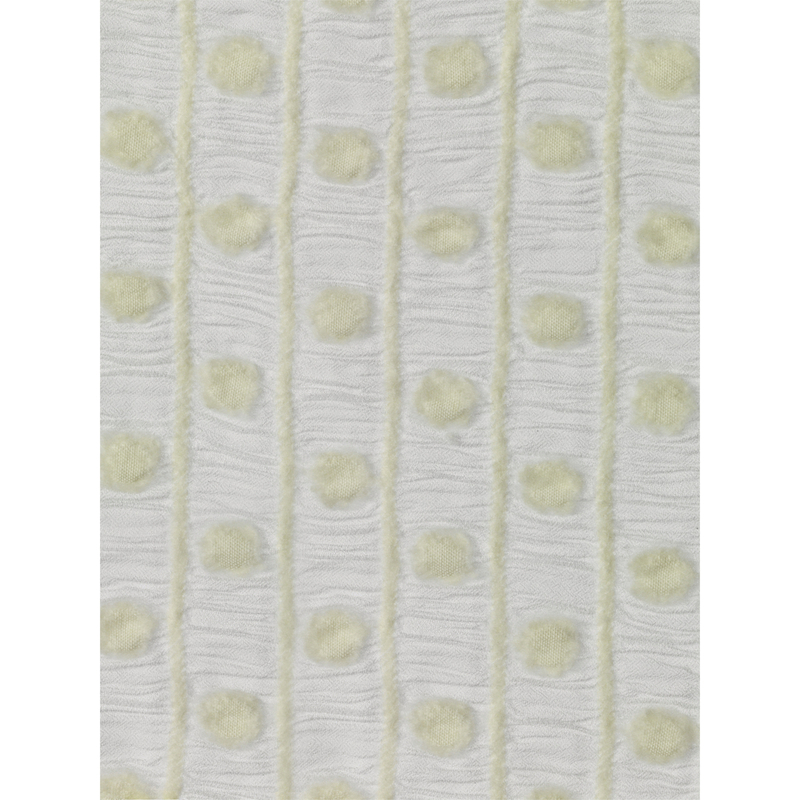 The white plain woven wool forms both the dots and stripes, while the white rayon forms the pleats in between. Mita’s innovation is in his ability to understand and exploit the unique properties of the different yarns to create a particular and premeditated effect. This textile is meant to be used both for fashion purposes as well as for interior decoration. Mita is a third generation textile designer based in the important textile manufacturing city of Kiryu, Japan. He was educated at Kokugakuin University and now designs for his family’s textile company. He primarily uses wool with various other fiber combinations and employs special finishing techniques to achieve unusual surfaces and textures.